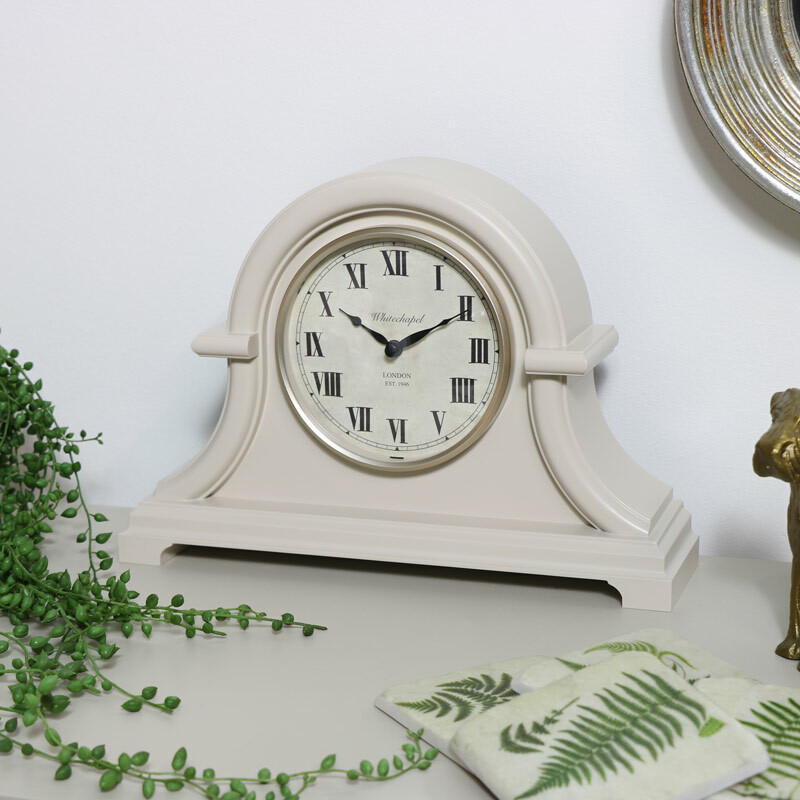 This mantel clock will make a stylish addition to your home decor. Curved design that offers a traditional feel to a living room or study. Offering a great look for a traditionally styled interior with elegant features and bold Roman numeral display. This will make a fantastic gift idea for a wedding or simply to add that finishing touch. 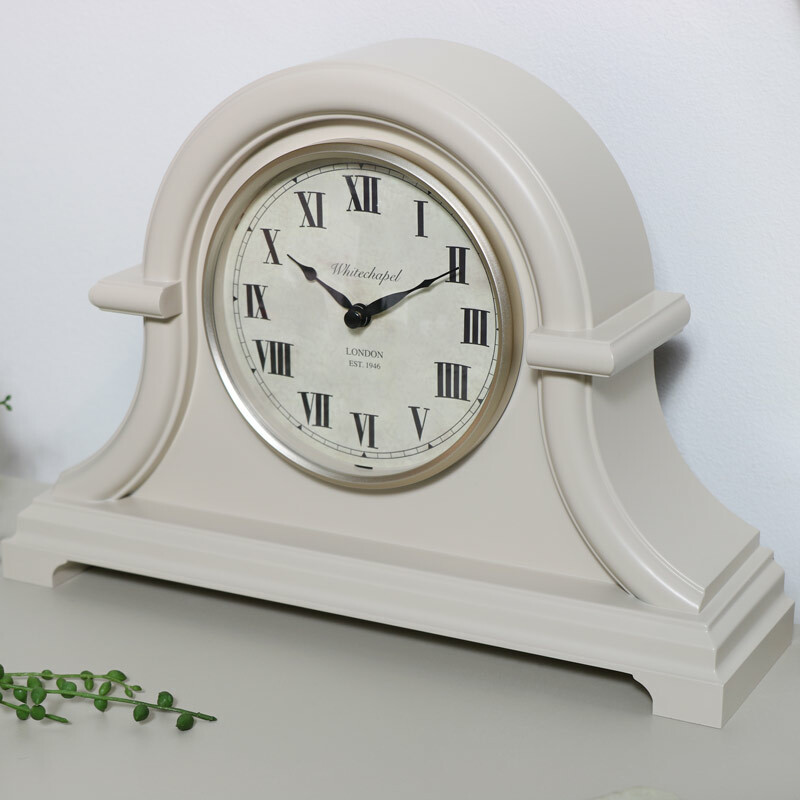 This mantel clock will make a stylish addition to your home decor. Curved design that offers a traditional feel to a living room or study. Offering a great look for a traditionally styled interior with elegant features and bold Roman numeral display. This will make a fantastic gift idea for a wedding or simply to add that finishing touch. Made with a plastic frame in a cream/stone finish. The back on the clock unclips from the bottom to reveal the clock movement, takes x1 AA battery (not included).